I never fail to visit Jatujak (also spelled Chatuchak) Weekend Market whenever I'm in Bangkok on a Saturday or Sunday. There are bargains galore and the people watching is fascinating. On the occasion that the following photos were taken, I left empty-handed, but that's rare. I've left out sections that I don't visit regularly, but I assure interested folk that you can buy just about any type of merchandise here. My usual approach is take the BTS to the market, and then leave on the MRT. The BTS station closest to the market is Mo Chit, which is also near the Northern Bus Terminal. 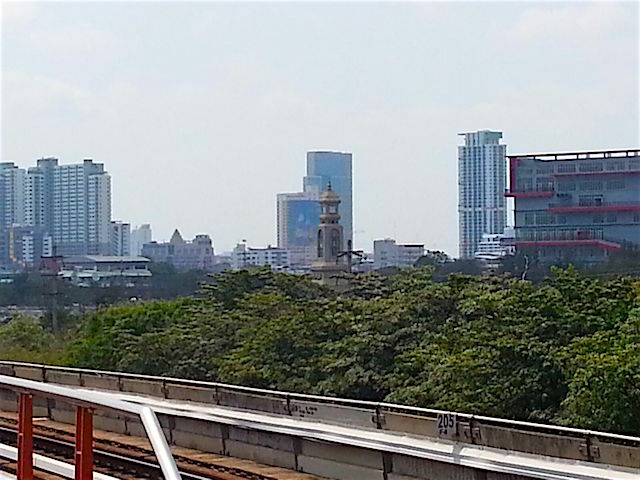 When you get off the train at Mo Chit BTS station, you can see Jatujak Market's most famous landmark from the platform. It's the clock tower at the centre of the market. Take Exit 1 to leave the station. 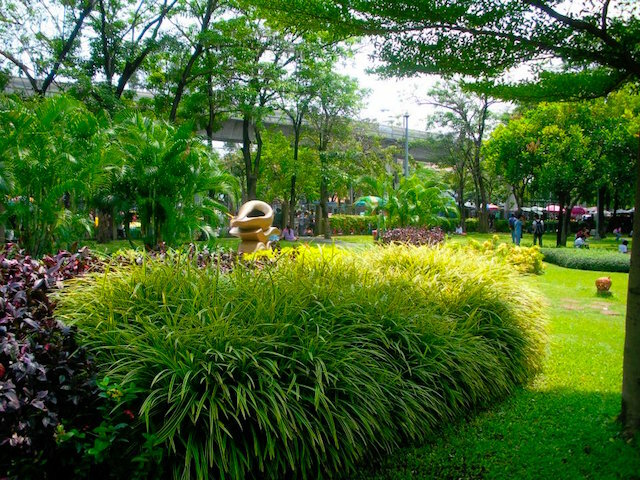 It will lead you towards Jatujak Park. Once you've crossed the park, walk to the right along the outer perimeter of the market. You'll eventually come to a broad, paved thoroughfare into the market area. On the right side of it is the art section, which is where I customarily begin my circuit. 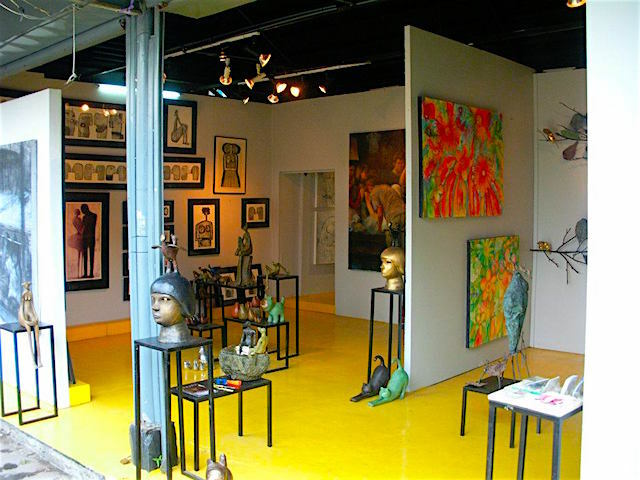 Some of the art vendors are dealers and some are artists. The stall pictured below is a dealer's stall. Unused space is often filled by graffiti art. Further along the thoroughfare, there's an extensive homeware section. This stall is quite stylish. I've picked up place mats and cushion covers here. Most of my cutlery comes from vendors in this area. 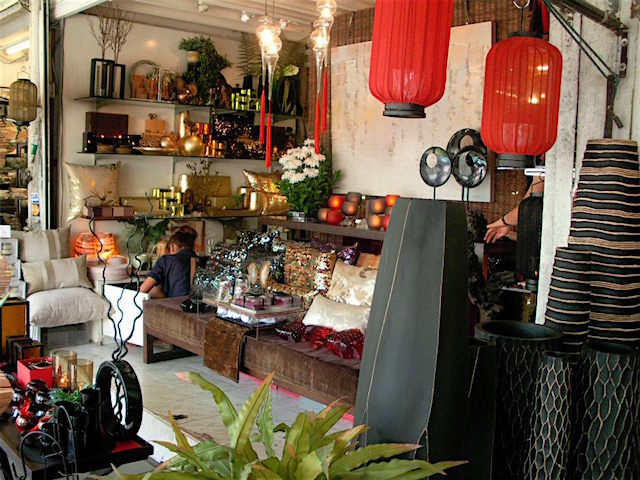 The selection of pottery and ceramics is especially good. At the far end of the market from the art section is the antiques section. 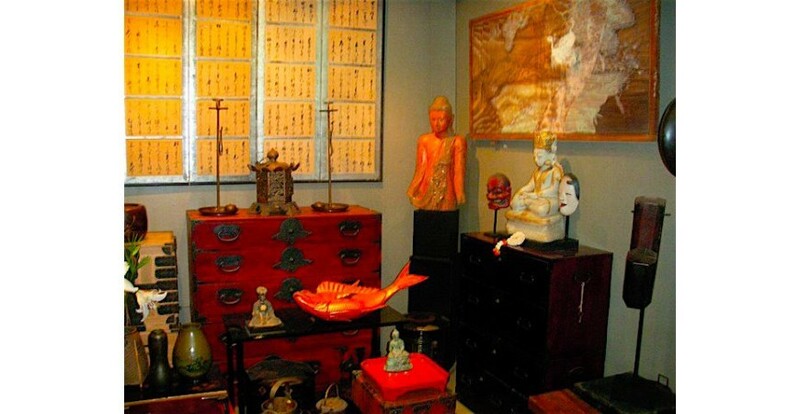 It used to be THE place in Bangkok to buy genuine Thai antiques. Sadly, the best local items are long gone. 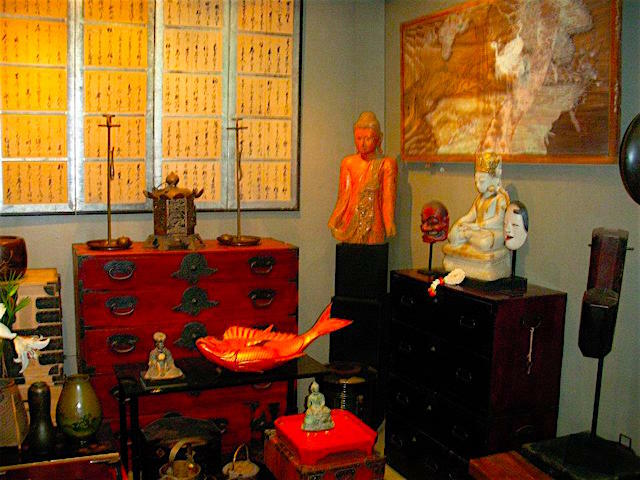 Consequently, dealers are now turning to reproductions, as well as items from other Asian countries. Most of the Buddha images you see now, for example, are from Myanmar. Here's something new: a stall that specializes in Japanese items! Note: I've heard that this stall is no longer there. I usually finish up in the secondhand book section, which is adjacent to the antiques section. The prices are actually not so low, but the selection beats most of the chainstores in Bangkok. 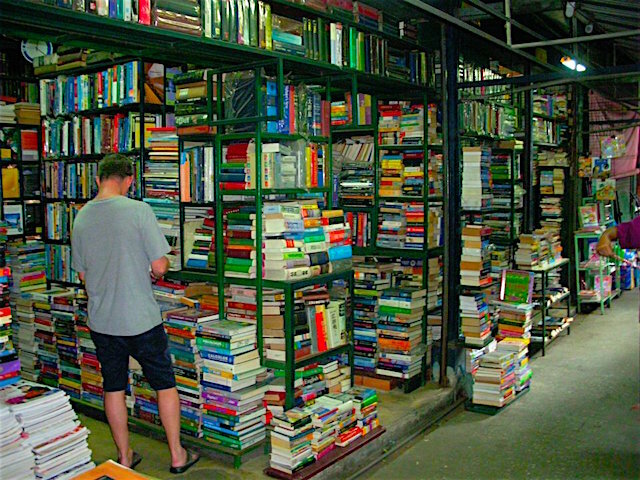 Conveniently, the book section is practically next to the Kamphaeng Phet MRT station. By the time I get here, I'm definitely ready to go. What did I leave out? I usually skip the clothing sections, which are vast. I also give the plant vendors a miss. My little circuit usually takes at least 2 hours, longer if I stop along the way to eat. Are you a JJ Market regular? Tell us about your circuit in the comments below.